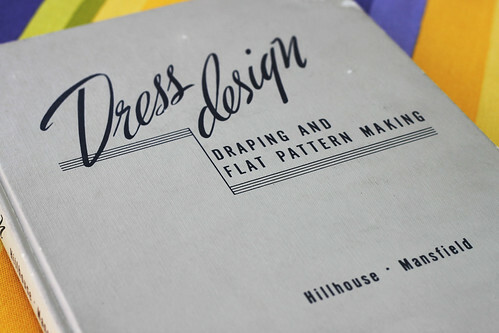 “Dress Design” by Marion Hillhouse and Evelyn Mansfield, 1948, is my favorite pattern-making book. My much used copy is really torn up. It has seen me through so many projects. It has a wonderful section on fitting problems. 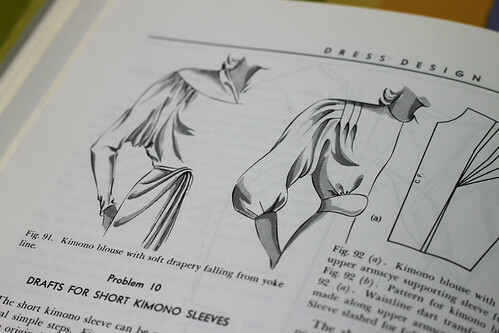 My favorite parts are all the decorative features that can be added to clothing. 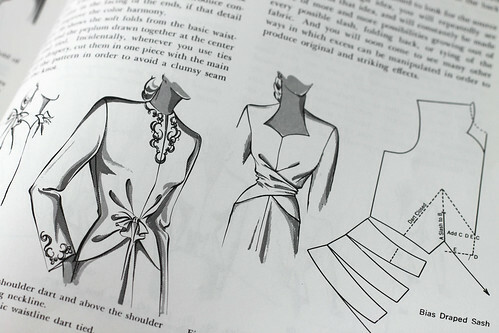 It is just about dresses, blouses, and skirts. So no pant patterns or men’s wear. 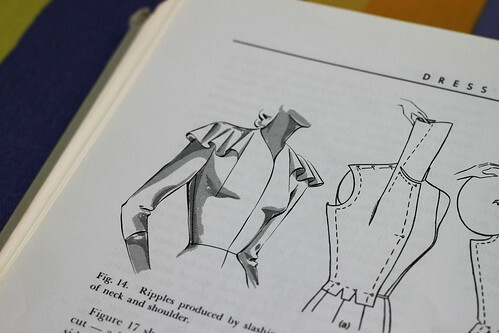 Still I really like the collar shaping in this book as compared to my other fashion pattern drafting book from the 70’s. Plus the illustrations take me back to another era. This entry was posted on Tuesday, September 1st, 2009 at 3:00 am and is filed under Sewing. 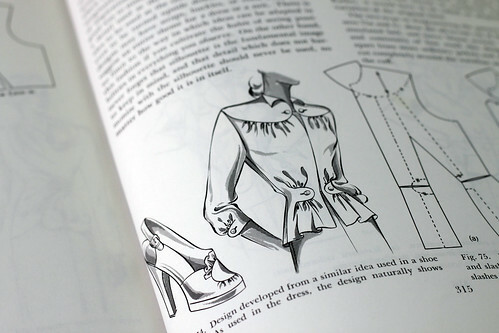 Tagged: Book, Sewing. You can feed this entry. You can leave a response, or trackback from your own site. Wow! I can’t even imagine making patterns! I love the styles of the post-war era. When I see a movie about that time, I’m totally absorbed by the clothes. Unfortunately I don’t have the waspish waist and the perky chest that the ladies of that era got (no doubt) from working at the men’s jobs in the factories. I think I’ll start posting glimpses of my sweater patterns from that era.